A dedicated board having the specific features that cover the requirements of the Power Electronics and Drives (PED) applications. 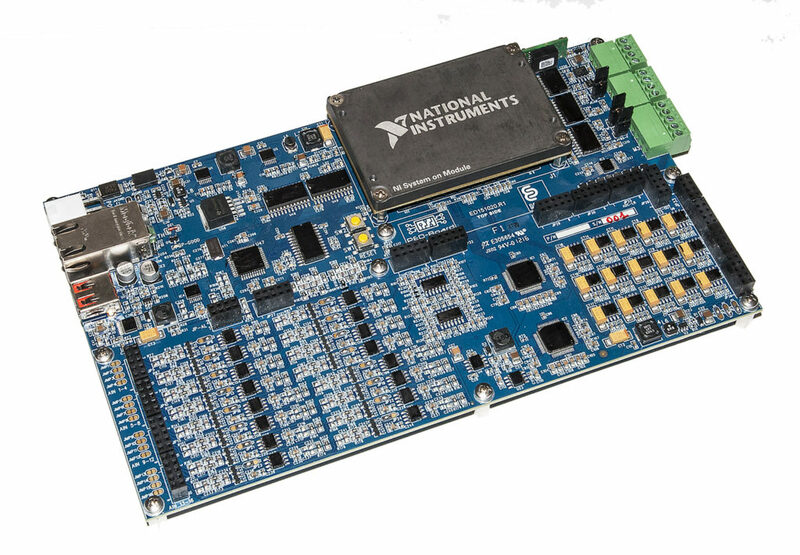 Accordingly, the PED-Board has been designed and realized to exploit the benefits of the NI SoM (formally sbRIO-9651) and LabVIEW graphical programming. PED-Board incorporates ADC, DAC, CAN-bus and many other functionalities that can cover the requirements of a typical PED project. 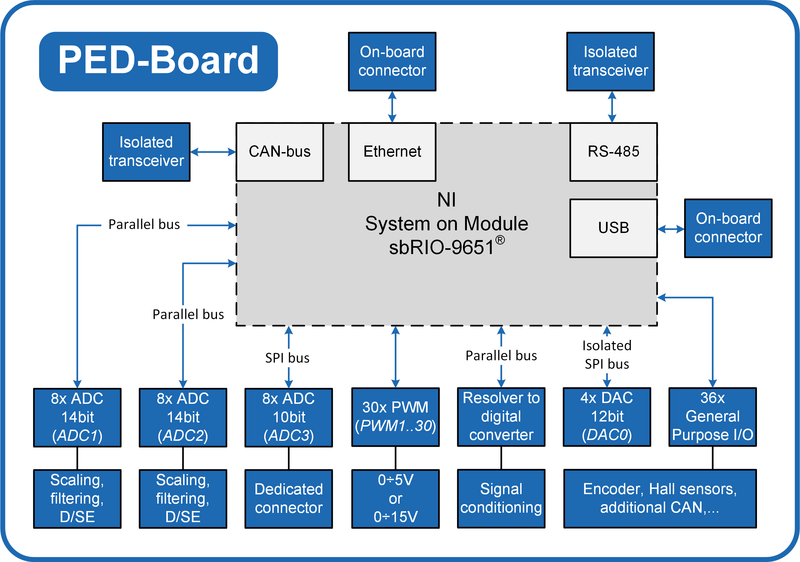 Proposed PED-Board can be connected to almost every power converter thanks to the application specific Adapter Board. The Adapter Board is placed on top the PED-Board providing mainly the required connections to the outer world. Concluding, proposed PED-Board can be certainly used in the fields of Power Electronics and Electrical Drives as main control board. It integrates on the same platform low-level high-speed control features on the FPGA; whereas complex tuning or control algorithms, main communication interfaces and web services can be located on the Real-Time target (CAN-bus, RS-485, Ethernet; Linux OS).